Kirsten Rian is an independent photography curator, project manager and writer. She has curated or coordinated more than 375 photography exhibitions internationally, and picture edited or written for over 80 books and catalogues. 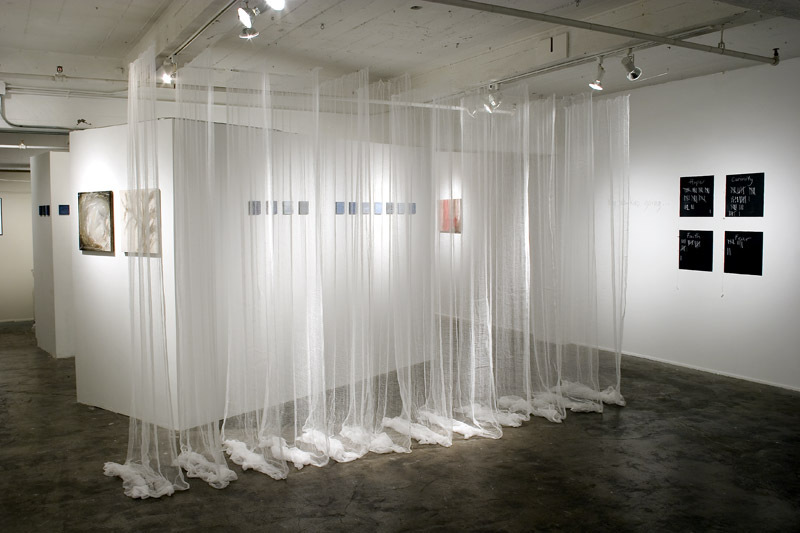 She is an accomplished multidisciplinary artist, working prolifically as a writer, painter, and installation artist, reflecting a commitment to community–both in her immediate orbit, as well as in the greater international context. 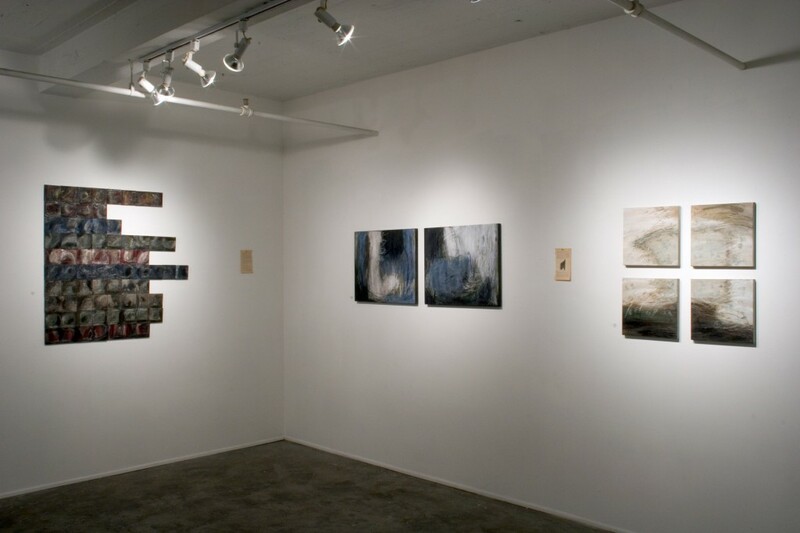 Her most recent international exhibition was in Iceland and incorporated video, painting, words, and music. Her work with refugees and immigrants in war-torn communities and human trafficking survivors explores how storytelling and sharing through creative mediums often allows the hardest and most necessary aspects of human history and experience to be remembered, and in fact, honored. As a musician she has made 8 records, and acted as producer on others. She is widely published as a journalist, essayist, and poet, and the author of three notable books. Her anthology of Sierra Leonean poets and their accounts of the civil war, Kalashnikov in the Sun (Pika Press), is in every classroom in Sierra Leone. 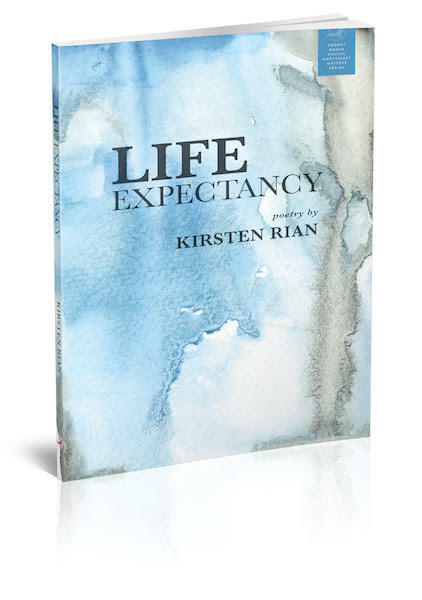 Life Expectancy was released in 2018 by Redbat Books as part of their Pacific Northwest Writers Series. 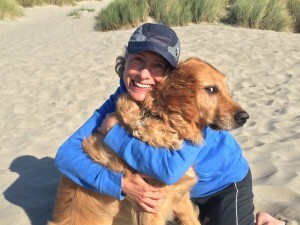 She was the author of the weekly column “The Alphabet of Light” for Daylight Magazine, was the poetry editor at The Oregonian newspaper, and is the recipient of numerous artist fellowships and grants. 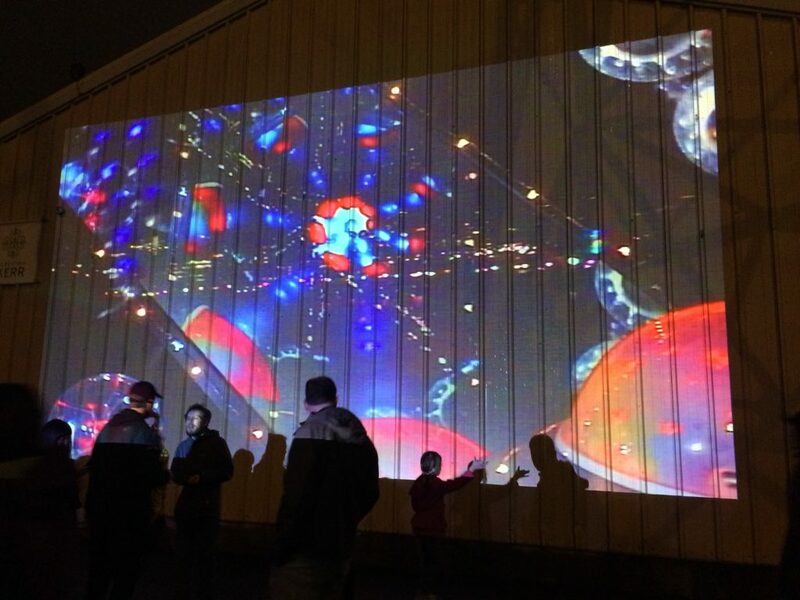 The above are images from Patterns Are For Breaking, a video installation presented at the Portland Winter Light Festival in 2017. Between river and sky are fractals–never-ending patterns, infinitely complex, recurring, similar at varying scales. They are created by repetition of a simple process–complex outcome from repetition of simplicity. Fractals are feedback loops of imagery that manifest in pretty much everything–from our own replicating cells and neurons, to the branching of trees, snowflakes, lightening, river and erosion patterns, to galaxy formation. Because their value is unpredictable, they are chaotic systems. In their manifestation, they are chaos being ordered–or at least re-arranged– into beautiful abstractions. Indeed, fractals are considered the visual images of dynamic systems, the pictures of the Chaos Theory. We are built of memories. We are continually metamorphosized by the never-ending onslaught of change that adult life delivers, that we remember, reinterpret. It could be said that the human experience is the Chaos Theory enacted. We are living the same looping patterns that The Godfathers immortalized: Birth, School, Work, Death, and yet every single one of our experiences that fill this space between land and sky is unique. Our experiences and memories build on themselves to affect who we are, and in this way we are dynamic recursions of intellect and nature, things in our control, out of our control, habits, and patterns. Video feedback produces light beams with a cross-section that is a fractal pattern. Video feedback is where video artistry began, in the 1960s in Greenwich Village. It is old school analog, and we are bringing it forward to the current to discuss and to show in light, this imagery as metaphor for the unique, chaotic, beautiful, unpredictable process of living. 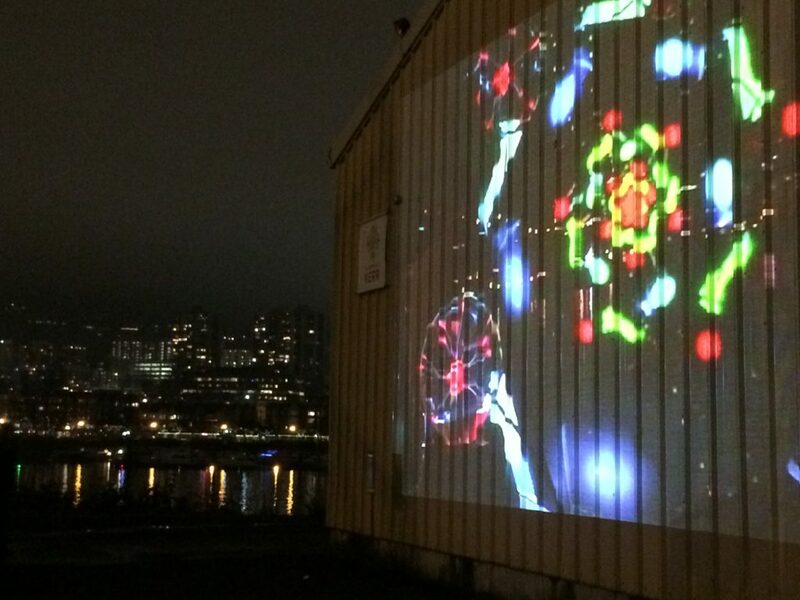 The imagery was created with video feedback from two camcorders, mirrors, toys, children’s plastic jewelry, the Willamette River, and the people attending the festival. Patterns are for breaking. Are for exploding into color and shape with the help of light. Are for not knowing how or why things happen but accepting they do, they will. And sometimes it’s beautiful, and sometimes it’s so bright it blinds us, sometimes it hurts, other times it illuminates the dark parts of ourselves, sometimes it’s all we’ve got. The quote is about his use of celestial navigation while flying at night over the Sahara Desert delivering mail to troops. 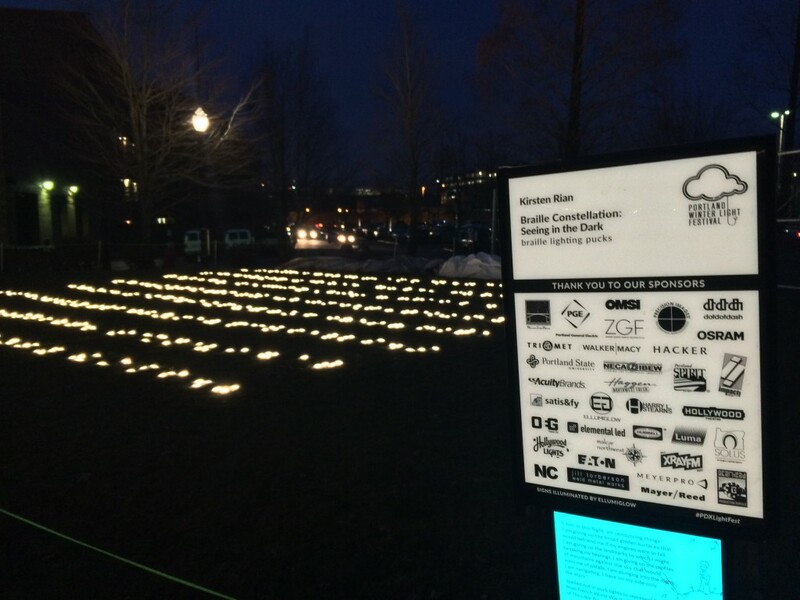 The decision to focus on Braille is partly because spelled out with lights, it is simply beautiful. It also looks like stars, and I like the idea of inversion of sky and earth. I am also interested for this project as a light artist in the interplay between light and lack of light, in the metaphorical implications of sight, and when it is limited, or dark, how do we find the light and understanding. Meaning is in our interpretation, which is in formed by our abilities, our access to our five senses, our prejudices, our history, our hopes. Braille are letters seen by touch. When a sighted person reads Braille, they feel raised dots. This project explores ideas of perspective, of seeking light, of our reliance on habits and our five senses for navigation and understanding of ourselves and of each other. 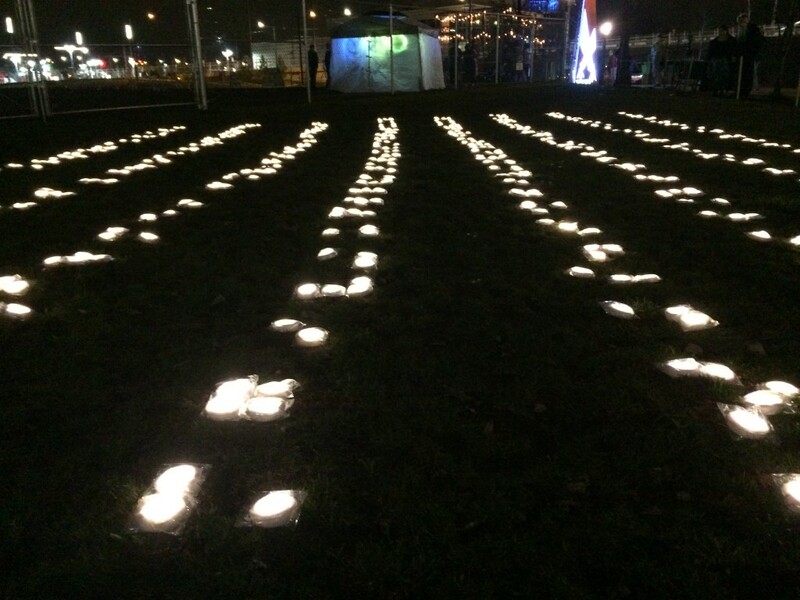 It’s about beauty in the things we don’t understand (such as a sighted person seeing a groundcover of lights in Braille, initially not seeing words or literal meaning, but rather abstracted visual and emotional meeting in the light patterns piercing the dark, stars on the earth). It’s about looking beyond the surface to discover deeper meanings. Interpreting. Honing our senses. To see what’s there when we don’t rely on our first impulse or the buffer of familiarity. It’s about starting over and learning a new navigation system when all is lost and one must start all over again without the compass they are used to. Stars could be words; words could be stars; sky could be earth; you could be me. 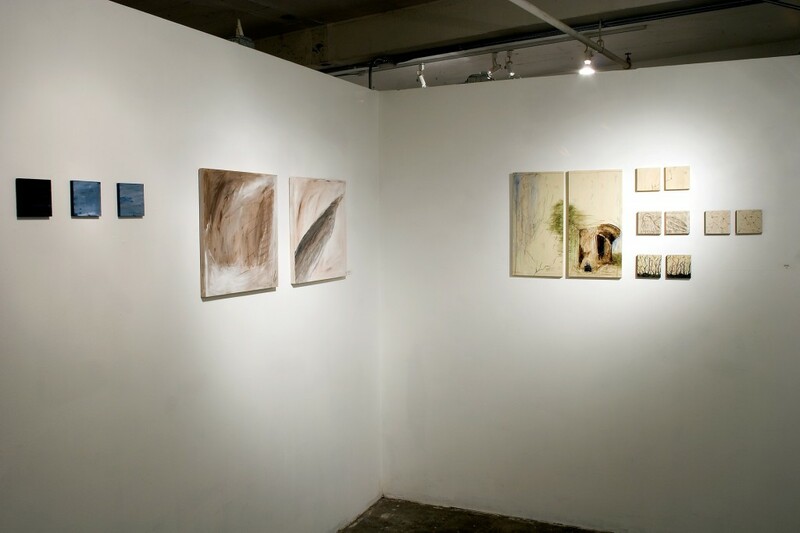 The exhibition images above are from pieces installed at Mount Hood Community College, and again at Gallery 114 in Portland, Oregon. Entitled, Why We Keep Going, the installation explored the reasons for continued forward movement built into human nature despite life’s inconsistencies. Rian distilled the motivations for continuing on to one of three reasons, curiosity, hope, or faith, a different choice for each individual, informed by history and circumstance. Panels of scrim hung from ceiling to floor through which people walked, turning back panel after panel until they reached the back, which was a wall with the three words painted “Curiosity,” “Hope” and “Faith.” Under each word was a painted square with a hanging piece of chalk. Gallery visitors made a hatch mark under whichever word was their main motivation for continuing on day after day, through layers of scrim, turning back the pages of this life size book they were walking through. The active viewer provided the movement for the piece, and also at the end, participated in the visual as well as conceptual evolution of the piece by marking their choice, indicating their thoughts and beliefs, and changing the physical landscape of the final wall by filling up the wall with hatch marks, tying in this idea of leaving one’s physical mark on the world. 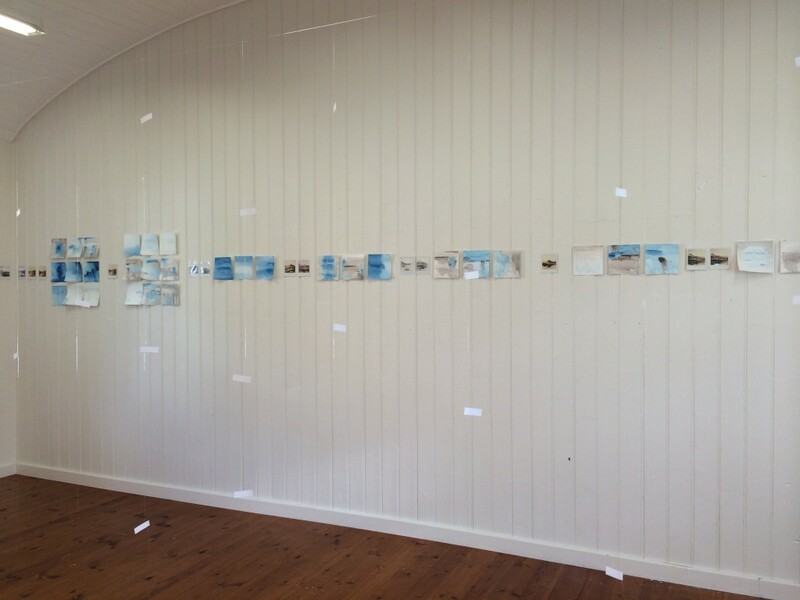 The installation was surrounded by the geography of Rian’s paintings, and in between those was ripped out pages from an old geography textbook from the 1930s. The project used multiples and grids to explore internal connections and dialogue with the landscape of stories lived, chapters of chronic illness, work with refugees, immigrants, combat photographers, single motherhood, and reconciling plans with the reality of how days unfold. The dense scapes carried threads of internal and external landscape coexisting as Rian works to define home. It’s a beautiful thing when a radio station in Connecticut that played your music over 20 years ago, emails out of the blue, as happened the other day, and somewhere out there, music from a different life still matters. We make marks, and they live on by themselves out there in the world. Time for another stitch to be made in the continuum of songs that have stacked up in my 25 years of making music. What is there but gratitude for notes that somehow weave stories that for some reason people listen to.